Jenny began her career in Real Estate as an administrator in the early 80's. 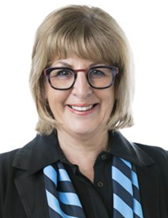 A move to Auckland in 1985 gave her the opportunity to join Harcourts, managing the administration function for the fast expanding Auckland region, before beginning seven years selling real estate. Returning to the Bay of Plenty in 1996 selling rural and lifestyle properties the opportunity arose to buy a partnership in a Harcourts franchise in Tauranga. Four years later the Martin family made an offer to consolidate two of the three regional franchises with Jenny as the Licensee/Director. The third franchise joined Advantage Realty 18 months later. Jenny's role has expanded to encompass training and compliance for Advantage Realty and performance coaching for the sales team of 75. Jenny is a dedicated Real Estate professional who expects only the best from the sales and administration teams.